Snack time in our house is important. Mainly because I'm pregnant and I promise you I am hungry an hour after I ate. I try not to snack too much in front of Bennett because he will snack just for the fun of it. He is allowed to have a snack in the morning, but I limit him before dinner because he wakes so late from nap that it's almost dinner time. 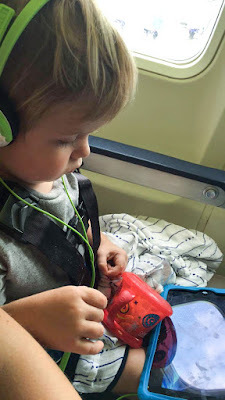 When we are on the go, I typically bring a snack for him though because I never have an idea of when we will actually get home. It's also nice to have a snack if we are out to dinner and it's taking a long time to get seated or for our food to come out. 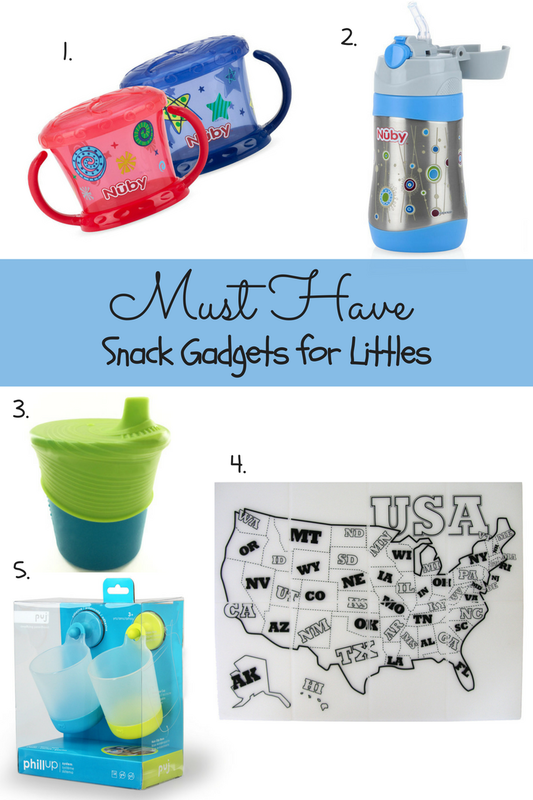 These are some of my favorite products to have on hand when snack time rolls around. 1. Nuby Designer Series Snack Keeper- Ok, I was using just plastic bags and would pour into the stroller cup, or just let him eat out of the bag. The one time he dropped the baggie at the mall I knew I had to find something else. Cherrios all over Nordstrom floor had me running for the door. Seriously this cup doesn't spill stuff out, I can throw it into any bag I have and know I won't have crumbs to clean up at the end of the day. We also used this cup on the airplane so I wouldn't have to put food on the tray in front of him. This cup is wonderful for all littles ages, if it doesn't spill contents--it is definitely for me! 2. 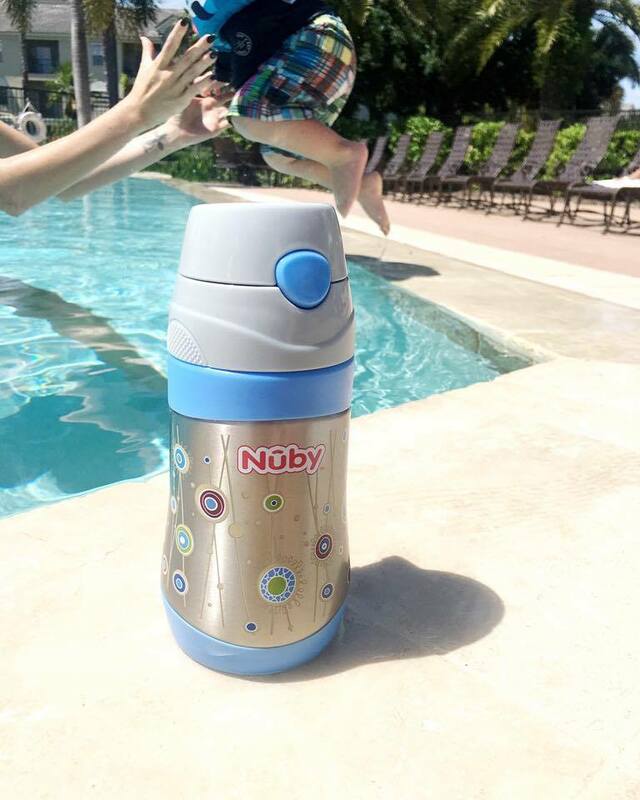 Nuby Insulated Stainless Steel No-Spill Flip-it- In Florida I am pretty sure everyone owns an insulated cup, and if you don't...well you must like warm water. My husband and I both have large insulated cups and Bennett was no exception. We enjoy being outdoors, theme parks, and going to the beach--this cup keeps his water cold for 10 hours. I don't ever have to worry about him not drinking his water because he doesn't like the temp. We also like to use these for milk so it will last longer when we are outside for extended periods of time. 3. Silikids Siliskin Silicone Cup- I have seen these floating around Pinterest for a while, I finally received one and am completely in love. 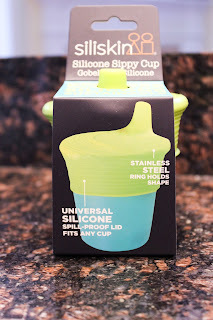 The silicone lid can come off and go on any cup you want to put it on. No more bringing your kids sippy cup to dinner just bring this along and pop it right on top of the cup. This thing isn't going anywhere! 4. Silkids Silimat Map- This is another great item for on the go. This folds up just like a mat and can fit right into your purse/diaper bag. 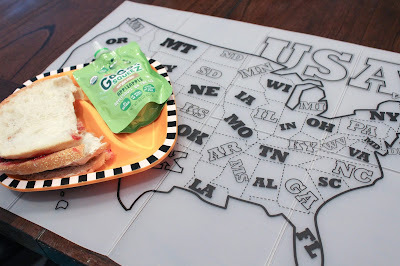 It's great for laying on the table when out to dinner or just using as a placemat at home for less mess! 5. Puj Phillup Cups- We recently did away with buying individual water bottles, instead we have the water truck deliver these huge jugs of water. We are hoping in the long run we save money since we won't be leaving water bottles thrown about with water still left in them. I am in love with these cups for Bennett when we are at home. I fill it up when I know it's empty and it hangs right on the water cooler for him to have access to. I don't fill it up completely, but we haven't had any spills from it hanging there with water in them. What are some of your favorite snack gadgets for littles? *The items were received in exchange for a 100% honest opinion from me. I only choose to work with companies I believe in and value. These all look great! 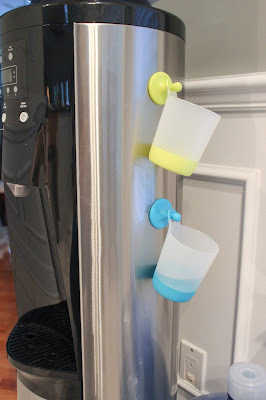 I love the idea of the cups that hang right on the water cooler! Great ideas! I will have to check these out. I love the Phillup cups. Those are some great products! 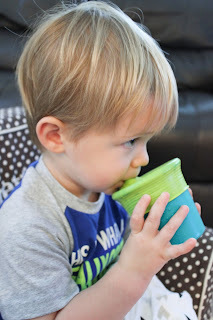 I love the Nuby cups, we have some snack cups that are similar to that and they're great! I've also seen those Puj cups quite a bit and think they're so neat! Unfortunately, our fridge is magnetic and we don't really have a good place to stick them. We love the Nuby snack carrier and the insulated sippy cup! They are great for on the go. I have been eyeing the silicone lids too. I am glad to hear they work well.